It's wedding season so I wanted to show you a trial I did a few weeks ago. I actually just did the wedding this weekend and it came out amazing. For my brides-to-be and bridal makeup artists, I break down a trial for you and hopefully you can pick up some tips! My bride Aisha loves makeup and wanted something dramatic. For a trial I'll try out as many looks as needed till we land on the perfect one. I usually do the face first, finding the right coverage for their skin type. I'll also decide between a matte or dewy finish. This is accomplished with the type of foundation I use. Then i'll move to eyes. As you can see, I did a more colorful eye on the left and a smokey on the right. This gives the brides options and she can compare the looks side by side. Typically after two looks we select one of the color combos and then make minor tweaks. 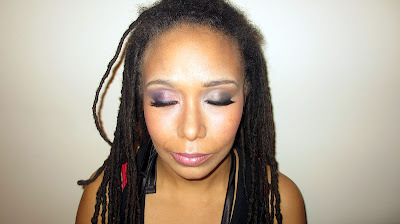 I make sure that the bride leaves with the same color combo on both eyes lol. I'll keep Aisha's final look a surprise until I get the professional shots. The bride is actually a friend of mine and I did her an extra special favor and did a bridesmaid trial as well. I recommend to brides that they pick a common makeup theme for bridesmaids, that way no one shows out - remember it's about the bride! It also keeps everyone looking on the same level. 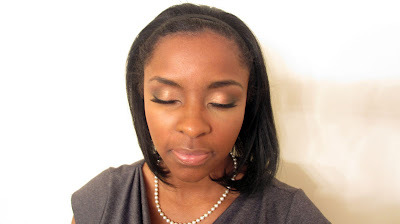 We went for a fresh pinky look which I'll modify according to each bridesmaids' skin tone. 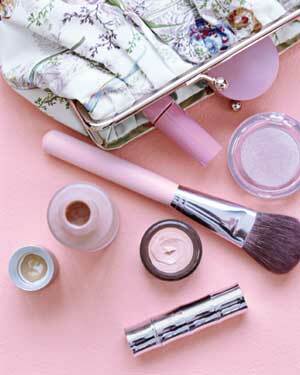 A super important part after the trial is to instruct the bride to keep the makeup on for a few hours. That way they can see how the products work and last on their skin. They can give you feedback on any changes which is way better than fixing something the day of. Also, make sure to write down every product you used and take a picture of the look so you can replicate it for the big day. 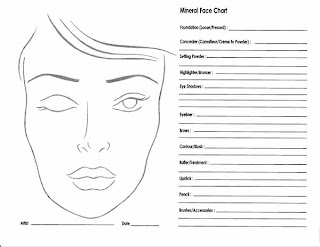 I use a face chart that I customized to list all different types of products. There are tons of templates online like this one here...you can tweak it and print it out. Stay tuned for the professional pics! They look great, can't wait to see the finished looks! From one beauty blogger to another thanks so much for all your tips, as they are greatly appreciated!! Visit savymommie30.blogspot.com/ sometime would love to hear your feed back!! I have also subscribed to your YouTube channel! !